Inés Macho-Stadler received her PhD from the École des Hautes Études en Sciences Sociales, Paris, in 1989. She is professor at the Department of Economics, Universitat Autònoma de Barcelona and member of the Barcelona GSE and MOVE. 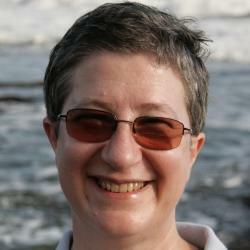 Her research interest involves information theory, industrial organisation and applied game theory. Her work has been published, among others, in Journal of Economic Behavior and Organisation, Journal of Economics and Management Strategy, Journal of Economic Theory, International Economic Review, and Games and Economic Behavior. She has written the textbook “An Introduction to the Economics of Information: Incentives and Contracts” (joint with David Pérez-Castrillo), published by Oxford University Press. She is associate editor of the Journal of Economic Behavior and Organisation, Journal of Economics and Management Strategy, Games and Economic Behavior, and Revue d'Economie Politique. She is fellow of the European Economic Association (EEA), the Spanish Economic Association and the CESIfo.